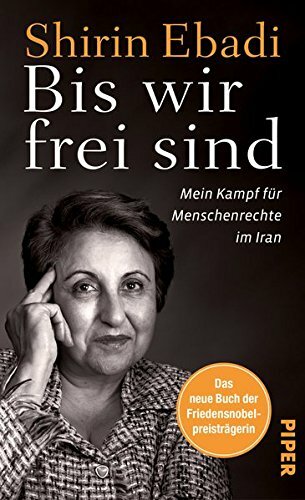 Shirin Ebadi (Persian: Ø´ÛŒØ±ÛŒÙ† Ø¹Ø¨Ø§Ø¯ÛŒ - Å irin EbÃ¢di; born 21 June 1947) is an Iranian lawyer, human rights activist and founder of Children's Rights Support Association in Iran. On October 10, 2003, Ebadi was awarded the Nobel Peace Prize for her significant and pioneering efforts for democracy and human rights, especially women's, children's, and refugee rights. She was the first ever Iranian to have received the prize.Ebadi was born in Hamadan, Iran. Her father, Mohammad Ali Ebadi, was the city's chief notary public and professor of commercial law. The family moved to Tehran in 1948. 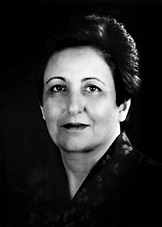 Ebadi was admitted to the law department University of Tehran in 1965 and upon graduation in 1969 passed the qualification exams to become a judge. After a six-month internship period, she officially started her judging career in March 1969. She continued her studies in University of Tehran in the meanwhile and received a master's degree in law in 1971. In 1975, she became the first woman to preside over a legislative court. Following the Iranian revolution in 1979, conservative clerics insisted that Islam prohibits women from becoming judges and Ebadi was demoted to a secretarial position at the branch where she had previously presided. She and other female judges protested and were assigned to the slightly higher position of "law expert." She eventually requested early retirement as the situation remained unchanged. As her applications were repeatedly rejected, Ebadi was not able to practice as a lawyer until 1993, while she already had a law office permit. She used this free time to write books and many articles in Iranian periodicals, which made her known widely. 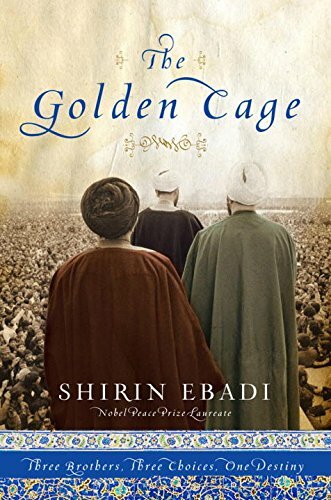 In this remarkable book, Shirin Ebadi, Iranian human rights lawyer and activist, and Nobel Peace Prize laureate, tells her extraordinary life story. Dr Ebadi is a tireless voice for reform in her native Iran, where she argues for a new interpretation of Sharia law in harmony with vital human rights such as democracy, equality before the law, religious freedom and freedom of speech. She is known for defending dissident figures, and for the establishment of a number of non-profit grassroots organisations dedicated to human rights. In 2003 she became the first Muslim woman, and the first Iranian, to be awarded the Nobel Peace Prize. 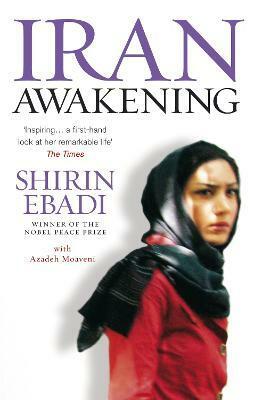 She chronicles her childhood and upbringing before the Iranian Revolution, her education and student years at the University of Tehran, her marriage and its challenges, her religious faith, and her life as a mother and as an advocate for the oppressed. 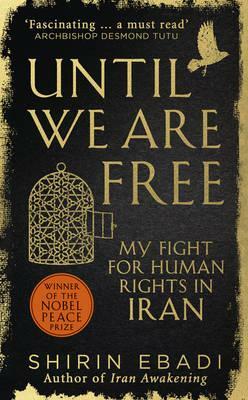 As a human rights campaigner, in particular for women, children and political prisoners in Iran, her autobiography is a must-read for anyone fascinated by the life story and beliefs of a courageous and unusual woman, as well as those interested in current events (especially those of the Middle East), and those who want to know the truth about the position of women in a Muslim society.